Dorms starting at US$7 per night! Hostel Estación Biológica Laguna de Apoyo is near the lake and the forest. Photo Jeffrey McCrary. 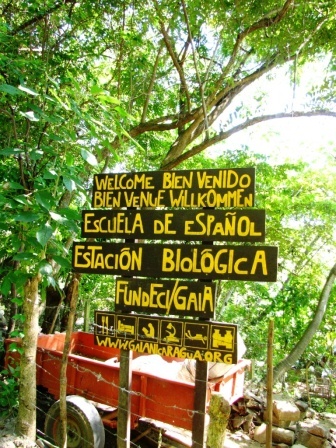 The Biological Research Station "Estación Biológica" offers hostel accomodations in Laguna de Apoyo Nature Reserve, Nicaragua. 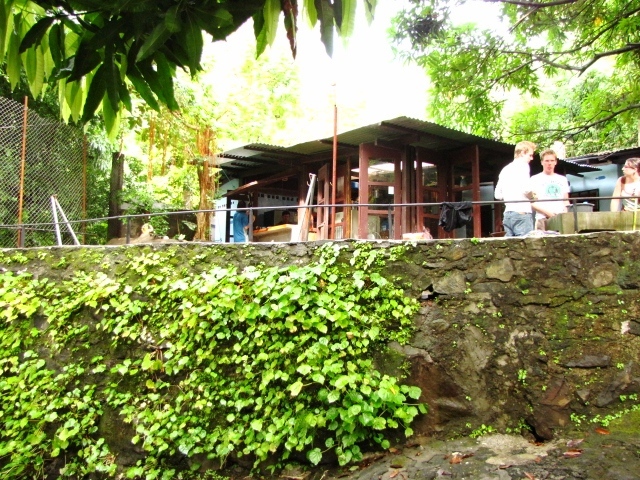 Fourteen private rooms and dorms near the shore of Lake Apoyo are available to travelers and visitors. Our accomodations are basic and rustic, our center designed for the budget traveler who may be interested in the issues of nature, biodiversity and natural area conservation in Nicaragua. Visitors seeking economic and environmentally friendly hotel accomodations and great meals with fresh, natural ingredients at Laguna de Apoyo are welcome to visit us. 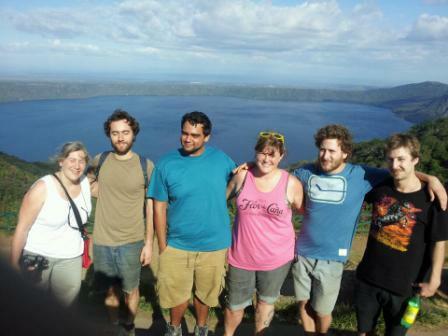 Wildlife such as monkeys, trogons and toucans are in the yard at Hostel Estaci�n Biol�gica Laguna de Apoyo. 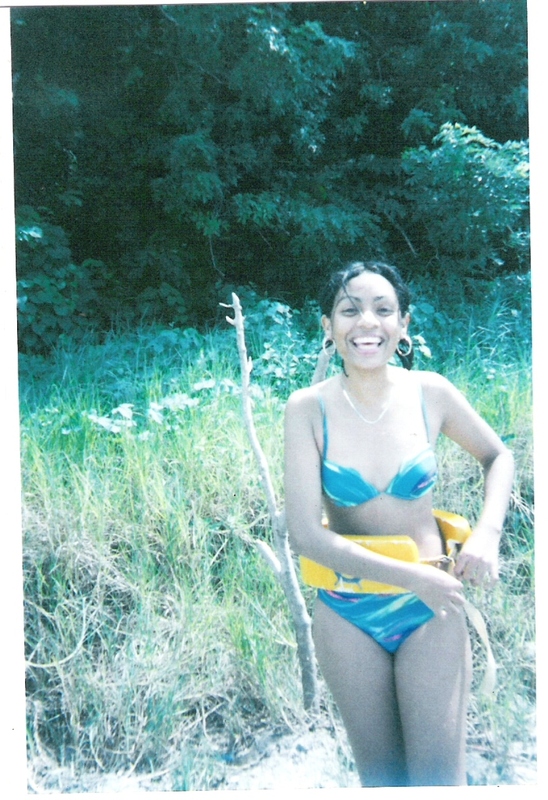 Photo by Jeffrey McCrary. Estación Biológica serves as a support center for locally organized initiatives in conservation, including community organization and skills training. Our staff work closely with with the community and local and central government officials to promote actions and policies which protect the wild natural resources in Laguna de Apoyo Nature Reserve. Training in natural resources management, natural sciences, and Spanish language and the Nicaraguan popular culture is conducted for Nicaraguans and foreigners planning to work or volunteer in the region. Through promotion of scientific research, Estaci�n Biol�gica is the principal reason that Laguna de Apoyo Nature Reserve is the most widely cited natural area in Nicaragua in scientific research reports. Meals with fresh, local, organically grown ingredients are served at Estaci�n Biol�gica. Photo by Jeffrey McCrary. Estación Biológica offers great home-style meals prepared with natural ingredients, and activities such as scuba diving, birdwatching, and courses in Spanish and environmental issues. Prices for lodging start at ten dollars and include a great breakfast of fruits, milk and granola, gallo pinto and world-class, socially responsible coffee. The resources of Estación Biológica are available for scientists, volunteers, and guests. We can host groups for courses, seminars, and retreats. Individuals and groups are invited for day visits or overnight stays. We have campsites available for those with camping gear and tents. By visiting us or using our hotel services, you help contribute to a local not-for-profit organization whose proceeds are returned directly to the community in education and conservation actions. �Estación Biológica� is administered by the Nicaraguan Foundation for Integral Community Development, which operates continuously in Nicaragua since 1973. Our rustic accomodations are in the midst of forest cover and wildlife. Private rooms and dorm accomodations are available. Photo by Pablo Somarriba. Estación Biológica Laguna de Apoyo is near the water, so swimming is an option during the day and at night. Photo by Jeffrey McCrary. 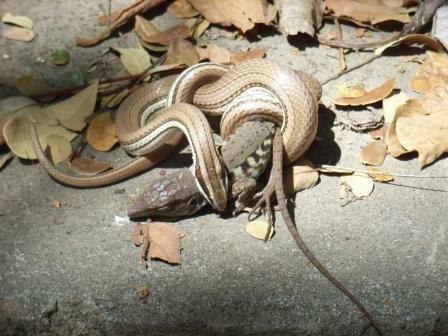 The yard at Hostel Estación Biológica Laguna de Apoyo is managed to promote the presence of wildlife. Photo by Jeffrey McCrary. Contact us here for inquiries on availability and a price quote. Whether a backpacker travelling alone or a delegation, we want to help you enjoy and learn for the best possible experience in Nicaragua. 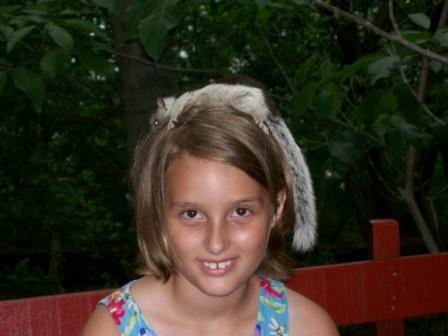 This baby squirrel was raised by the Gaia staff after she fell from a tree as an infant. Today she has her own family in the trees above Estación Biológica in Laguna de Apoyo Nature Reserve. Photo Jeffrey McCrary. 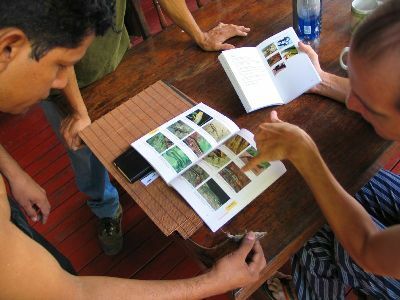 Field research is conducted on several animal and plant groups in Laguna de Apoyo Nature Reserve. Photo Jeffrey McCrary. 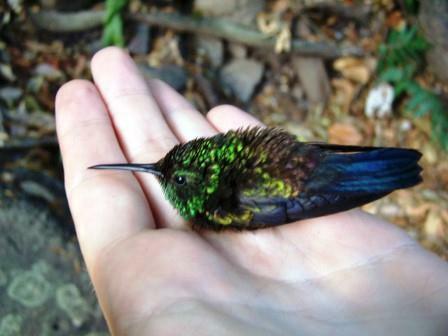 Bird populations are monitored in Laguna de Apoyo Nature Reserve by the Gaia staff at Estación Biológica. Photo Joe Taylor. 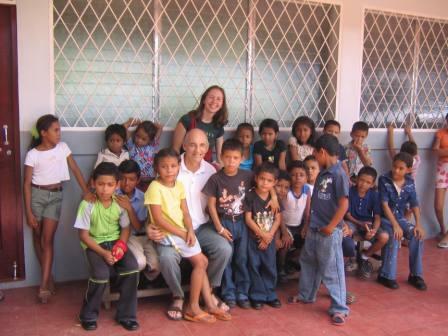 Thanks to the efforts of FUNDECI/GAIA and the contributions of visitors to Estaci�n Biol�gica, these children can attend the new, beautiful "Héroes y Mártires de Xiloá" rural school near the shore of Laguna de Xiloá in Chiltepe Peninsula Nature Reserve. Photo Belén Camino. Hostal Estación Biológica Laguna de Apoyo and Apoyo Spanish School are along the shore of Lake Apoyo, beneath this scenic view from Catarina. Photo Jeffrey McCrary.